To say the skies over an unihabited, barrier island during a new moon are ideal for capturing the Milky Way is a huge understatement! Imagine witnessing some of the darkest atmosphere you've ever laid eyes on while meandering among stoic, lifeless Live Oaks that have been peacefully resting in place for decades. The midnight boat ride to the island on our first night, blanketed with every star in the sky, will just be the beginning of our adventure. Our captain and guide, which is one of the state's most knowledgeable naturalists, will transport us to and through the acres and acres of Bulls Island, which is within the 66,000 acre Cape Romain National Wildlife Refuge. Our destination? The Boneyard Beach! After sunrise, we'll venture through the wetlands on our way back to the mainland in search of all the wildlife the Carolina coast has to offer. For our second excursion, we'll spend the early am hours on the dark, east end of Folly Island taking advantage of its beautiful subject matter while capturing the Milky Way over the ebb and flow of the Atlantic. Live online Milky Way post processing session. The locations we have scheduled will be within the ability of anyone who is in moderate shape. The Lowcountry is a very flat landscape which will require no strenuous hiking. There will be a couple of lenghthy beach walks. 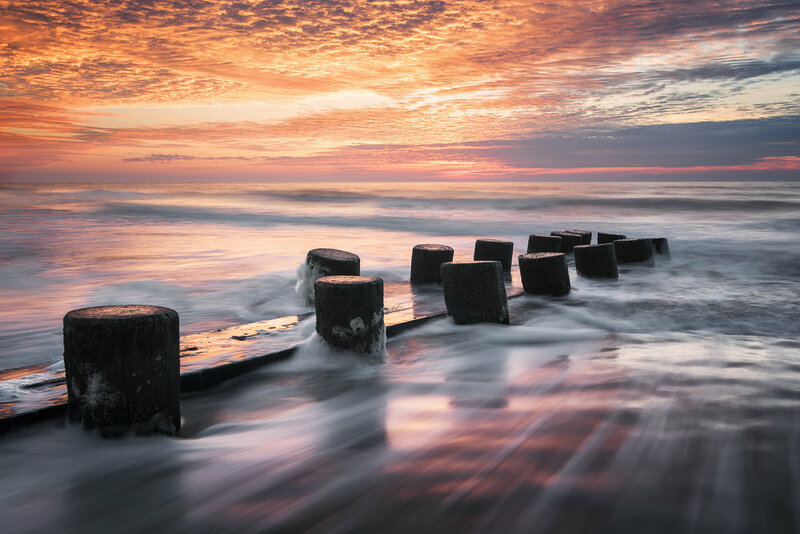 For this workshop, we will be surrounding ourselves with the Atlantic and coastal subject matter such as jetties, lighthouses, dunes, large piers and boneyard beaches. We'll see an abundance of wildlife, too. 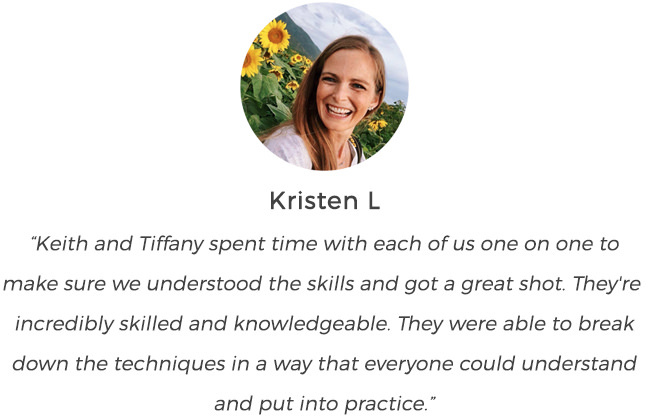 We believe group size is important for the ability to provide as much one-on-one instruction in the field as necessary. 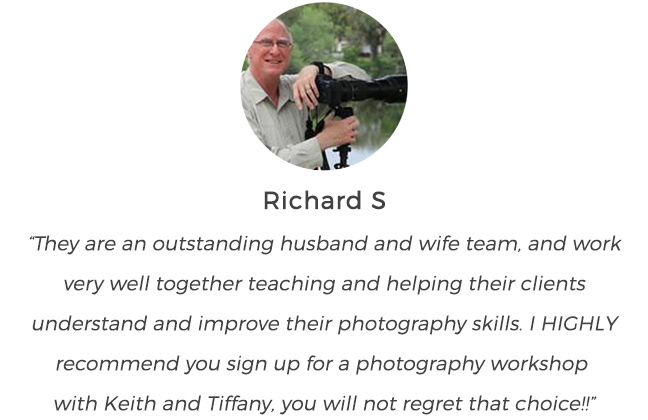 Due to the knowledge of our home location, this group size will be six guests per instructor. The locations, dates and times for this workshop are designated to gain the best possible photographic opportunities available. We will have many occasions and spend many hours to capture the Milky Way and other astro possibilities. If weather becomes an issue, we'll work around it and take advantage of the current elements provided. Regardless, we have a short time together and we're going to make sure every minute is packed with superior locations, photographic potential, and learning. Once everyone has returned home and caught up on some sleep, we'll schedule a live, online post processing session with the emphasis being on properly developing your Milky Way captures. We'll discuss software options and learn which tools are beneficial when editing the night sky. We’ll all gather at the hotel for a meet and greet, followed by dinner and our sunset location within the Lowcountry. We'll begin our new friendships and cover photographic techniques and tips. We have a long morning in front of us, so we’ll keep it low key tonight. We'll make our way to the landing for our midnight boat excursion to Bulls Island. We'll be transported from the mainland to the island while stars reflect off the still waters within the estuary and surrounding wetlands. Once we arrive and dock, we'll be transported by truck and trailer to the opposite side of the island where the Boneyard awaits. We'll spend many hours on the Boneyard Beach shooting the Milky Way and wrap up our morning by capturing sunrise as it breaks the horizon. Our naturalists will be on board sharing a wealth of information regarding the island and the surrounding waters as we make our way back. Be on the look out for gators, bobcats, otters, dolphins and many, many species of birds. Be sure to have those long lenses ready! Once we make it back to the landing and unload, we'll make our way for breakfast, then a long rest in our rooms before heading out for our next nightly adventure. After a long, much needed rest, we'll again gather for dinner before setting out for our next adventure. After our meal, we'll venture out to Folly Island to photograph sunset and begin to prepare for our Milky Way foreground opportunities. Here, we'll find wood and rock jetties, rippled sand dunes peppered with yellow wildflowers and the beautiful ebb and flow of the Atlantic surf. The Milky Way will be in all its glory for several hours, giving us many chances to be rewarded with that bucket list shot you've always wanted. With this being the last session together, you'll have the option to stick it out until sunrise, or head back to the room for some extra shut eye. 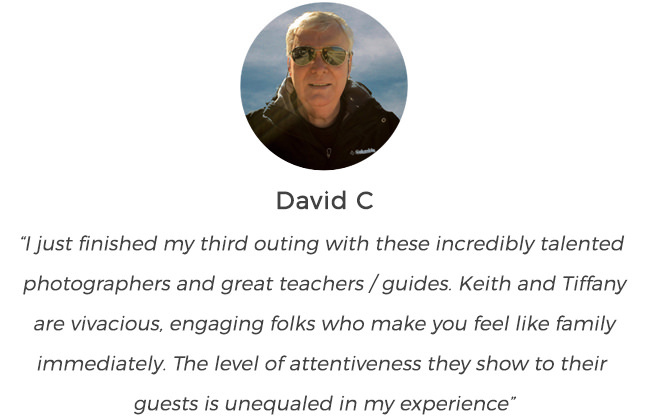 • Apps and tools to assist us in "getting the shot"
If we happen to find another guest to take your place, we will give you a full refund (minus the $175 deposit that is required when booking before the 90 day mark).